Ntombena Ndolila communes with her father, Wine, at his memorial in South Africa. In the South African township of Evaton, a Zulu woman exits the dilapidated shack where she lives with several members of her family and walks a short distance to a plot bearing a solitary, off-white tombstone, where she talks to the spirit of her father, Wine Ndolila. The Ndolilas are so confident that their country’s government will return their ancestral land to them that they have chosen to live there as squatters, even after the apartheid government bulldozed their homes and twice evicted them from the property. The family’s tenacity seized the attention of Bernadette Atuahene, associate professor at IIT Chicago-Kent College of Law, who has focused on their plight in Sifuna Okwethu, Zulu for We Want What’s Ours, an award-winning documentary she produced and directed on the subject of land restitution in South Africa. The Ndolilas provide a face for a cause Atuahene has embraced since 2002 when she did a clerkship at the South African Constitutional Court as a Fulbright Scholar. The passage of the Natives Land Act of 1913, colonialism, and especially apartheid—a form of racial segregation enforced in South Africa from 1948–94 by the ruling National Party government—gave rise to land theft as tens of thousands of the African majority were forced to move to assigned areas, many losing their ancestral land without compensation. Apartheid was recognized as coming to an end with the 1994 democratic general elections in which the late Nelson Mandela was named president. A Land Restitution Program was initiated to provide compensation to Africans who lost their property after 1913. Atuahene says the huge undertaking has been slow moving and far from perfect, resulting in only approximately 80,000 individuals filing claims. The program has encountered an additional problem—as in the case of the Ndolilas—that is not simply black and white. During apartheid, working-class black Africans purchased parcels of land taken from poor families such as the Ndolilas and built homes on them without knowledge of the underlying land claim situation. With their deep reverence for their ancestors, the Ndolilas do not want to be relocated to another area. They also do not want monetary compensation for the land. “One of the things that most hurt my heart was when I heard people say they were treated just like they were during apartheid,” says Atuahene, referring to the restitution process. 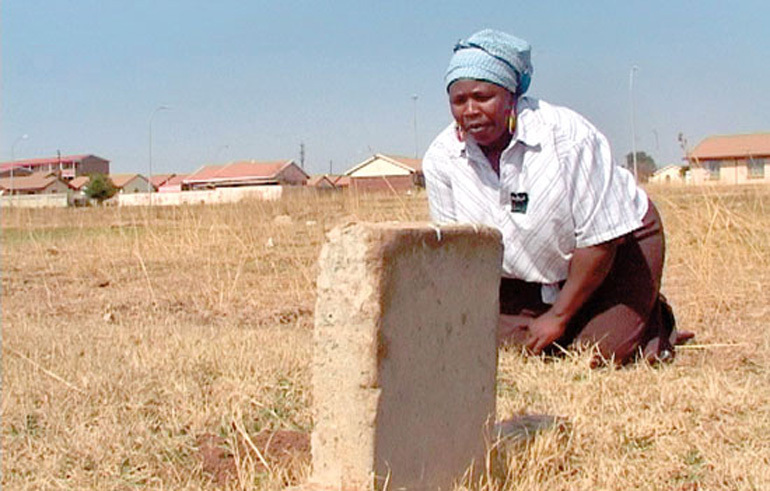 She returned to South Africa in 2008 to interview 150 land claimants who had already received some measure of government restitution. The interviews comprise Atuahene’s book We Want What’s Ours: Learning from Land Restitution in South Africa (Oxford University Press), which will be available in the United States in May. Atuahene has been funded by a private German foundation to go on a South African book tour this year to coincide with the twentieth anniversary of South African democracy and she continues to research ways to chip away at the inequality. She formed the nonprofit Documentaries to Inspire Social Change with all proceeds from the sale of Sifuna Okwethu going toward film distribution and curriculum development for a companion course for secondary-school students in the U.S. and South Africa. She has also offered her services as a consultant to the South African Commission of Restitution of Land Rights, which has plans to reopen the claim-filing process this year to allow more individuals to file for restitution. Atuahene says that the international community united to help bring apartheid to an end. She is hopeful that this same spirit of unification will prevail as more individuals realize that justice still eludes many in South Africa. “All of us who came together to kill apartheid need to once again join hands to kill the legacy of apartheid—land dispossession,” she says.